The EUROPE project uses an innovative approach for promoting inclusive education and reducing violence at school: the Quiet Time based on Transcendental Meditation Programme for schools. This new approach to improve social inclusion, is based on an initiative started at primary and secondary schools, and especially involving schools with students who are disadvantaged, ethnic minorities or migrants. The objective is to make young people more tolerant and open to cultural, ethnic and religious differences, in order to improve social cohesion. Furthermore, the project supports teachers and educators in handling conflicts and dealing with diversity. 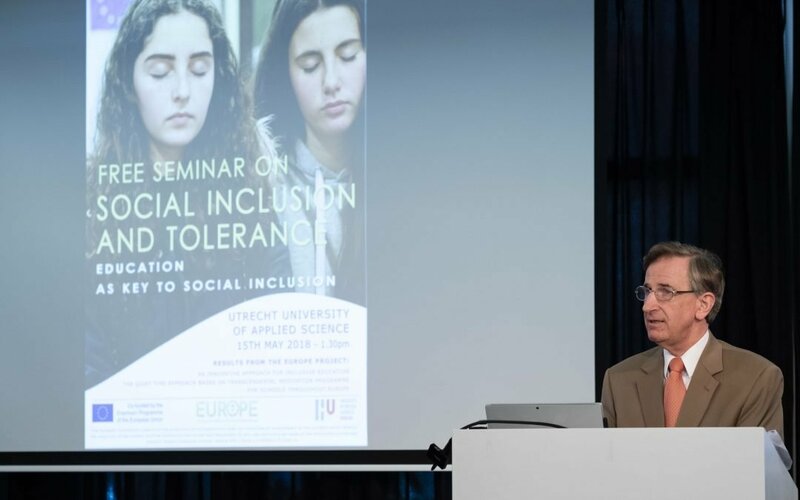 A seminar on “Social Inclusion and Tolerance – Education as key to Social Inclusion” took place on May 15th, 2018 at the Utrecht University of Applied Science in The Netherlands. 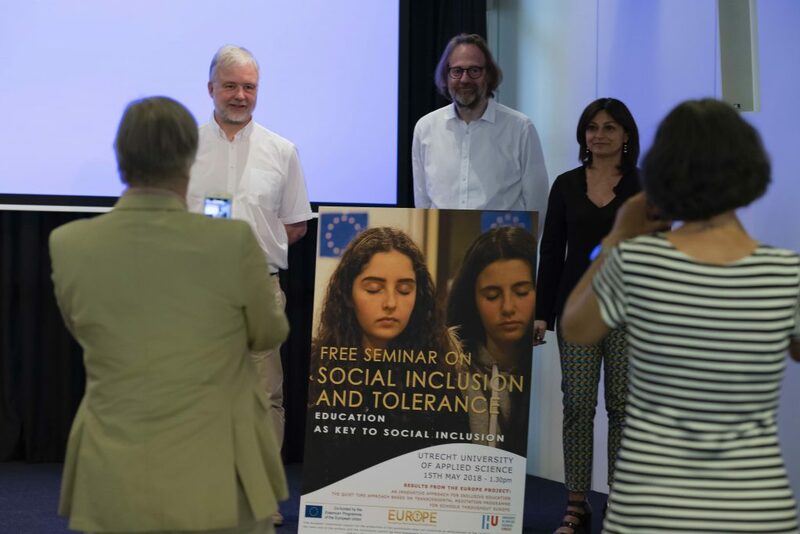 The purpose of this special event was to present the evaluation process and first results of the EUROPE project (Ensuring Unity and Respect as Outcomes for the People of Europe), coordinated by Foundation Villa Montesca and co-funded by the Erasmus+ Programme of the European Union. The effect of psychological measures such as resilience, self-confidence, coping with stress, tolerance, ability to deal with diversity and job satisfaction for teachers, and measures such as anxiety, tolerance, resilience, moral reasoning, self-esteem, non-discrimination, respect and understanding, and academic performance, for students, before and after learning Transcendental Meditation. Analyse the differences between students in a group who learned Transcendental Meditation and a control group who did not. Analyse the effects of frequency and regularity of Transcendental Meditation. 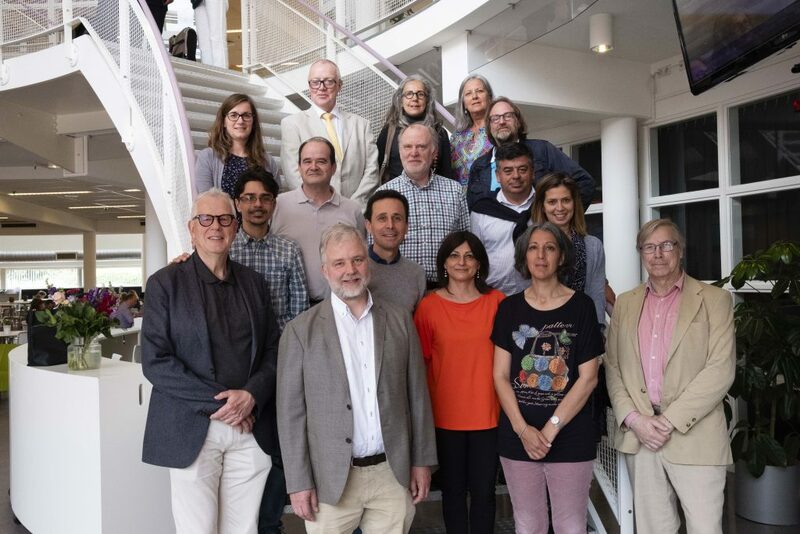 In this seminar, initial scientific results of the EUROPE project were presented and teachers from participating schools throughout Europe shared their experiences. What was achieved in schools that have been engaged in testing Quiet Time/ TM programme? A more peaceful school environment. Greater happiness and satisfaction in the school. Look at the EUROPE website (europe-project.org) and follow us on EUROPE Facebook to find out more about the EUROPE project and the Quiet Time/TM programme. Send an email to Mrs Nicoleta Susanu at europrojects@montesca.it to learn more about the activities implemented in schools across Europe.